Натисніть на фотографію і подивіться всі доступні фотографії до Thatched Cottage. Maestro, Visa, UnionPay debit card. This double room has a barbecue, kitchenware and stovetop. 2 Задасте дату а виявите наявність, зобразяться а й ціни готелів на даний час. This double room features a toaster, view and stovetop. 2 Задасте дату а виявите наявність, зобразяться а й ціни готелів на даний час. This suite has a stovetop, toaster and air conditioning. 4 Задасте дату а виявите наявність, зобразяться а й ціни готелів на даний час. Set in Yangshuo, Coco Mountain Villa features a tranquil garden and seasonal outdoor pool. Yangshuo West Street is 2.5 km from the property. The accommodation is equipped with a flat-screen TV. A toaster and stovetop are also featured, as well as a coffee machine. There is a private bathroom with a bath or shower in each unit. Towels are provided. Coco Mountain Villa also includes a barbecue. Guests can enjoy a meal at the on-site restaurant, followed by a drink at the bar. Bike hire and car hire are available at the property and the area is popular for cycling. The area is popular for canoeing and hiking. Impression Liu Sanjie is 3.5 km from Coco Mountain Villa. 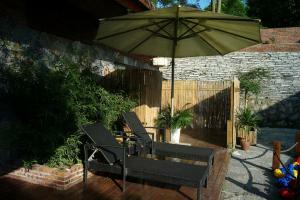 The nearest airport is Guilin Liangjiang International Airport, 66 km from Coco Mountain Villa. Guests have access to the garage, own bedroom villa cottage, 2 outdoor seating areas, and rock climbing wall. Li River is about 5 minutes' drive away.